How hard is it to connect dots between this years Bird Flu, H1N1, Swine Flu, Whooping Cough, Measles, Regular Flu, and the MIGHTY EBOla outbreaks to this years “Zika” outbreak? So, how hard will it now be to make every passenger on every commercial flight, every person who enters any federal building and any child (not adults mind you) that attend schools must be VACCINATED OR ELSE!?! The World Health Organization announced it will convene an Emergency Committee under International Health Regulations on Monday, February 1, concerning the Zika virus ‘explosive’ spread throughout the Americas. The virus reportedly has the potential to reach pandemic proportions — possibly around the globe. Recently on the social media I saw a posting suggesting that the terrible Zika virus outbreak in Brazil was triggered by another GMO mosquito experiment. Like the Children in Brazil? 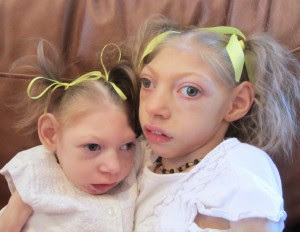 A shocking and, I think, correct re-examination of the Zika Virus causing 2400 Brazillian babies to be born with a deadly deformation called “Microcephaly” (literally ‘tiny head’) suggests that the mosquito story is nothing more than a deceitful cover story to hide the fact that a new DTaP vaccine, which women in Latin America are urged to get before they are 22 weeks pregnant, is the real cause of this horrible deformity. There is a town 31 miles west of Tokyo where street lights turn on as people walk past at night. Rooftop solar panels power the hundred-plus homes during the day, while fuel cells and batteries take over in the evenings at this year-old community on the site of a former Panasonic factory. Public transportation is in walking distance, although electric cars and bicycles are available to borrow. And now, this smart-city experiment known as the Fujisawa Sustainable Smart Town is coming to Denver from Japan. Panasonic has taken the lead in defining what makes a city smart. And in Colorado, far from Fujisawa and a population that is four times more dense than Denver, Panasonic isn’t using the same format. Camera monitors with accurate facial recognition? With privacy concerns, developers expect something less obtrusive. Shared cars available to borrow? Shuttles are more likely, plus there will be parking garages and lots. Energy-saving street lights that light up only when people walk by? Too many liability issues here, Doyle said. However, dimming the street lights may be a possibility. Why even bother attaching sensors to actual things? What if they just floated all around us in. The “Internet of Things”—or the idea of connecting all machinery, buildings, and stuff, together into one big sensing, recording, and data-logging mega-network—is a hot concept in industry at the moment. Companies like General Electric and Cisco are busy making a node of everything. But, to some people, the “Internet of Things” is yesterday’s buzz-topic. The future is even more ubiquity (if that’s possible). It’s something called Smart Dust. That’s right. “Smart” and then “Dust.” What in the world is that? “Sensors that float in the air throughout the entire city and track movement, biometric indicators, temperature change, and chemical composition of everything in their city,” as Dan Rowinski, writing in ReadWrite Future Tech, explains. New cars to record your iris, fingerprints, voice and blood pressure! According to Biometricupdate.com, Eyelock’s iris authentication process takes less than five seconds to complete. “San Francisco thought they were upgrading their 18,000 lamps with LEDs and a wireless control system, when they realized that they were in fact laying the groundwork for the future intelligent public space,” LLGA cofounder Sascha Haselmeyer tells Open Source Cities. San Francisco isn’t the first city to bring this new form of surveillance to light — literally — but it might be the biggest. In 2011, Farmington Hills, Michigan became the first city in the US to rely on something called the Intellistreets project to watch over pedestrians. For $3,000 a piece, those high-tech luminaries don’t just provide light, but also record audio and video, all data that can be sent from device to device. (and why did the UC system hire former Dept of Homeland Insecurity as their Chief??? When you go to a (river) bank, why do you have to “submit” and application when you are giving them your money (one-eye)? Should not the corps-whoration apply to YOU for your money? (A: because you have joined a corps-whoration and they give you a promissory note in return. This is why your name appears in ALL CAPS! just like on your DL, SSN, Berth certificate, etc. Submit: to yield, plead or beg. From back in the Roman Empire, there are two things on earth, Land and water. Subsequently, we have law of the land, and the law of the water. Law of the land is the law of the people in the land in which they live. However laws of the sea/water are International. They are the Banking laws. When you get a credit card in the USA, it works in Europe or in India. All ships are female, and she delivers a product. Females produce products. Labor, Delivery Room, Birth, Ship, “she” delivers products. When products are delivered, they need a certificate of Manifest. What is on the ship is on its manifest. 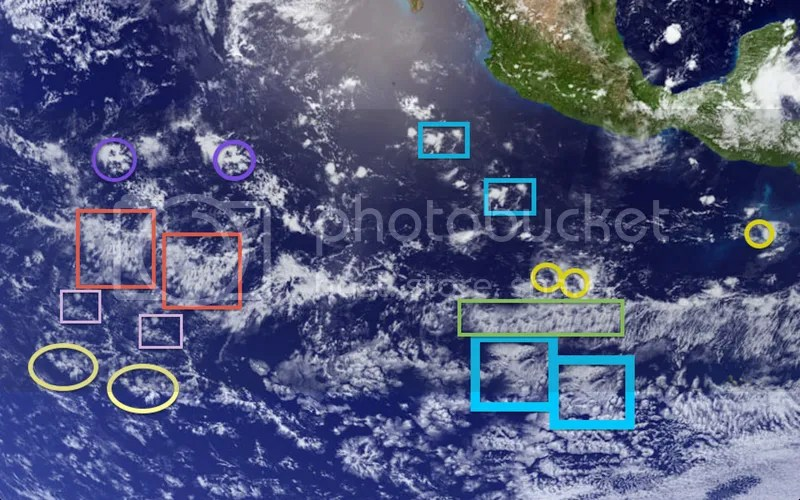 Humans are Maritime Admiralty products; they also have Certificate of manifest. “Birth Certificate.” On the bottom of Birth Certificate, shows our “Informant” are our Parents. We are then property of the Department of Commerce. All humans are “Stock.” As soon as people are born, they are property of the government in which they live. See US Vs USA. United States is different than the United States of America. Constitution of USA formed in 1776 and the Constitution for the US 1871. US Inc. United states is a corporation. Formed in Delaware in 1871. 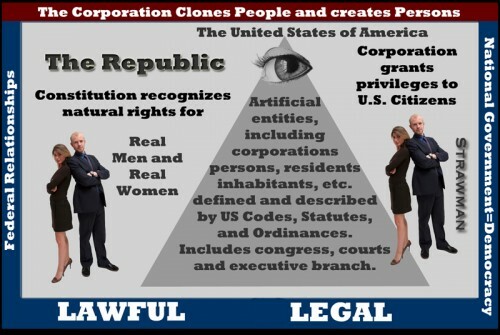 All Citizens are governed under Corporate Law. All corporations must have a President, Vice President, Secretary and Treasure. Hence, the USA Inc formed in Act of 1871. A US Citizen is an employee of the US Inc. Jordan discusses the difference. Rome was once ruled the world. Caesar once ruled from “the hill”. Washington DC (Capitol Hill), the new Rome, as Washington DC is the new Rome, or Empire. Just like we have with the United States. 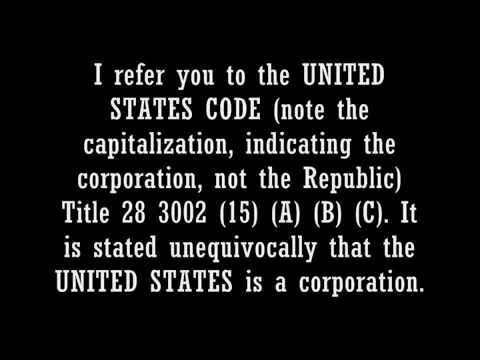 Yes, the U.S. is a Corporation. A privately owned company and has nothing to do with The United States of America. The United States of America – The Republic was founded in 1776 and the United States the Corporation was formed in 1871. Ulysses S. Grant was President of the United States in 1871 when the corporation was formed. Funny his first two initials are U.S. A U.S. citizen is an employee of the United States Corporation which is a business. The word “citizen” means “employee” according to the laws of the United States Corporation. Washington D.C. is a foreign corporation and it is not a State. It’s not a part of America and has nothing to do with the 50 states at all. It is where the foreign U.S. Corporation is headquartered with it’s own laws. The word yard, as in backyard, or front yard comes from the word stockyard. You know yards, places for your children to play in. A stockyard is a yard for stock; specifically one in which transient cattle, sheep, swine, or horses are kept temporarily for slaughter, market, or shipping. And remember what was said earlier, All humans are “Stock” like cattle. I guess human are looked at as animals. Operation Mockingbird was a CIA program that made a mockery of free press in the US. The existence of this program which spread CIA propaganda through the media was flatly denied until it was uncovered in Senate hearings in the mid-1970s. The CIA’s claims that it shut the program down in 1976 are undoubtedly a further deception. They simply shifted the operation to other parts of the agency as they had been caught red-handed. Before the US Senate Church Committee revelations, the media and CIA colluded overtly in their media propaganda campaigns, as you will read below. As the public was quite incensed with these revelations, afterwards the collusion became covert and much more sophisticated. Nowadays media executives or journalists are very careful keep their CIA connections secret, yet there is plenty of evidence the techniques developed and used under Operation Mockingbird continue to be common practice. Below the following essay on Operation Mockingbird are a wealth of footnotes with links to verify and explore further the information presented. This essay is taken from chapter seven of the incredibly well researched and revealing online book Lifting the Veil, available in its entirety on this webpage. “(Joseph) Alsop is one of more than 400 American journalists who in the past twenty-five years have secretly carried out assignments for the Central Intelligence Agency, according to documents on file at CIA headquarters. Some of these journalists’ relationships with the Agency were tacit; some were explicit. There was cooperation, accommodation and overlap. Journalists provided a full range of clandestine services—from simple intelligence gathering to serving as go betweens with spies in Communist countries. …so to run up further debt, increases the debt servitude obligation for every “person” contractually obligated through their Strawman creation at b(e)rth. 4) Every Birth is to be registered as a Corporate commodity in each country by UCC law with is a Roman law dating back to 1302 . 5) Your NAME IN CAPITOL LETTERS is your conformance to the corporate slave system. 6) Words of LAW are twisted in this most intelligent of crimes to deceive you and below we help you become more familiar with the deception. Your Strawman makes sure your government Govern ( Control ) Ment (Mind) has made money out of Your Berth ( birth). The reason you are considered a Ward of the STATE is because your Mother signed your Record of Live Birth as the “Informant”, ultimately acting as the Trustee of the (Executors/Fathers) Estate. In doing so, she unknowingly signed away the property (the Child) of the Executor (the Father) to the STATE. If married, she’s acting as the co-Executor of the Estate, or in the capacity of a Trustee; one with authority to sign over property. Here is proof she can do this Vir et uxor consentur in lege una persona. Husband and wife are considered one person in law. Your Mother unknowingly abandoned you at Birth. Have you noticed the Mother’s address is already pre-typed in one of the boxes? Have you noticed there is no address for the Father on the COB/Certificate of Birth? Have you noticed, it’s the address of the Mother’s “MAIDEN” name in that box? And have you noticed they had the Mother sign as the Informant, and not the Father? Things that make one go …hmmmm. 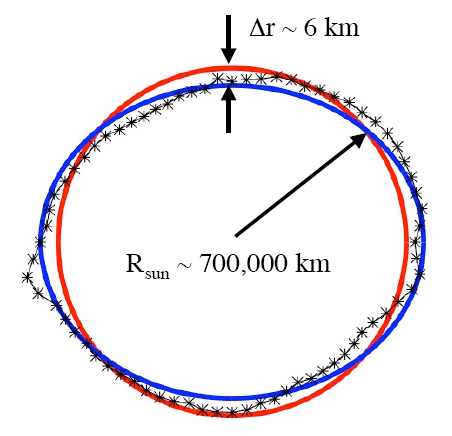 Folks, Every-thing, I mean EVERYTHING about heliocentric theory, hinges upon Newtonian gravity “proof”, yet the premise in itself is absurd and ridiculous for anyone with a clear mind to think for themselves. This has been ingrained in every school child since the early 1900’s with the exact same one-off example shown below that has been proven no where but in space..
….which was started in 1958 by a Freemason and rocket builder from NAZI Germany! ……. Programming this “theory” of Gravity to the schooled Masses since public schooling began. Everyone was taught the exact same thing for the past 100 years using the same exact mind thought or physical demonstration, yet NO ONE questions the “scientific” method used. A string tied to a bucket of water to prove centrifugal, not centripedal forces swung in a center point. False Premise: Earth is not contained in Metal! Water should be on outside of bucket if wanting to replicate Earth NOT inside! Water should be heaviest out outermost extremes, yet is not in experiment. In fact, when one goes deep sea diving, the pressure is GREATER than at surface! And every school child is taught the exact same line of b.s. since the early 1920’s. 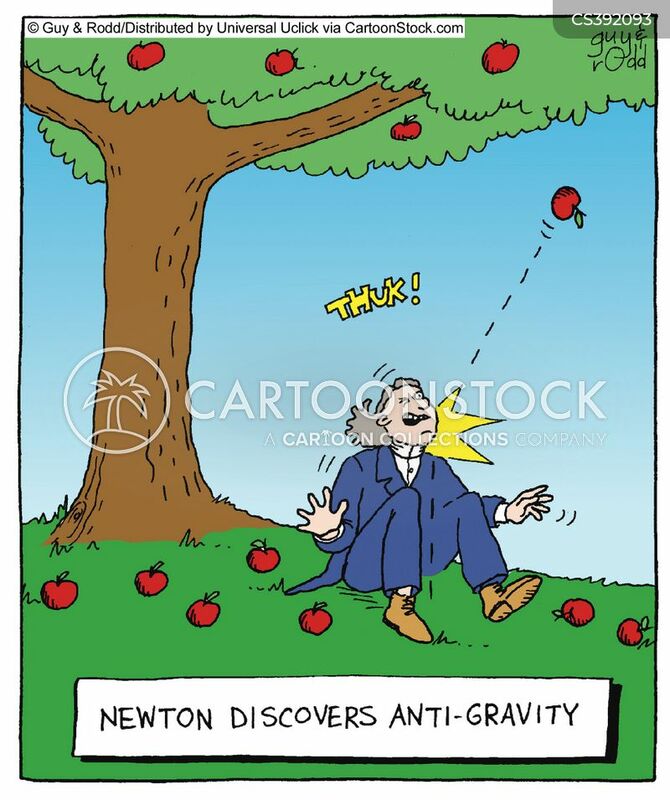 Gravity is NOT even included in Newtons’ Law of Gravity definition!!! Did you know Newton’s body of work was edited heavily by the Jesuits? Reduced to simplicity, gravitation is said to be “ That which attracts every thing toward every other thing.” That does not tell us much ; and yet the little it does tell us is not true ; for a thoughtful observer knows very well that everything is not attracted towards every other thing. . . The definition implies that it is a force ; but it does not say so, for that phrase “ mutual action ” is ambiguous, and not at all convincing. There is not anything or force in the universe that is absolute! No thing that goes its own way and does what it will without regard to other forces or things. The thing is impossible; and it is not true; wherefore it has fallen to me to show where the inconsistency in it lies. The name given to this mutual action means “ weight,” and weight is one of the attributes of all matter. Merely to say that anything is matter or material implies that it has weight, while to speak of weight implies matter. Matter and weight are inseparable, they are not laws, but elemental facts. They exist. But it has been suggested that gravitation is a force, indeed we often hear it referred to as the force of gravitation ; but force is quite a different thing than weight, it is active energy expressed by certain conditions and combinations of matter. It acts. 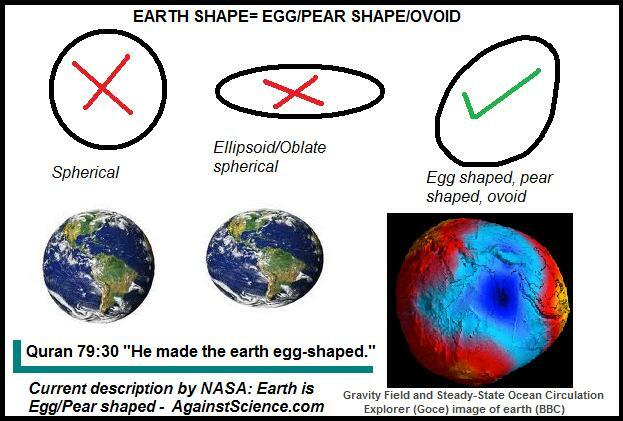 Does Scientifically Proving Round Ball Earth Theory to Be A Massive Lie Prove Flat Earth Theory Correct?